Do not try to do too much with your own hands. Some of the evil of my tale may have been inherent in our circumstances. I've been and am absurdly over-estimated. There are no supermen and I'm quite ordinary, and will say so whatever the artistic results. In that point I'm one of the few people who tell the truth about myself. It seemed that rebellion must have an unassailable base, something guarded not merely from attack, but from the fear of it. We had been hopelessly labouring to plough waste lands; to make nationality grow in a place full of the certainty of God… Among the tribes our creed could be only like the desert grass – a beautiful swift seeming of spring; which, after a day’s heat, fell dusty. I loved you, so I drew these tides of men into my hands... and wrote my will across the sky in stars. 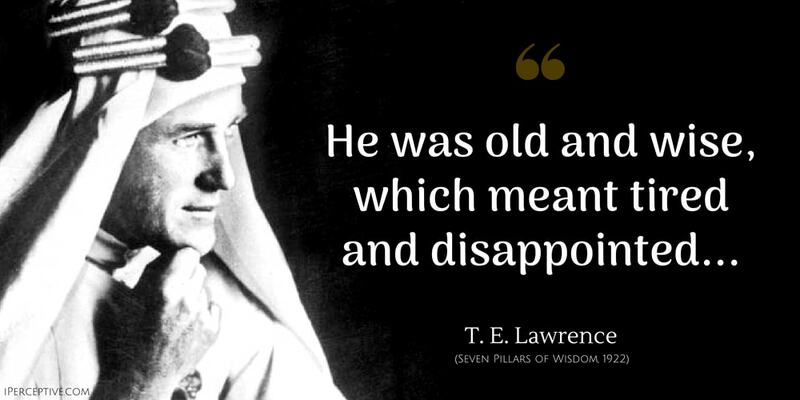 Thomas Edward Lawrence was a British Army officer. 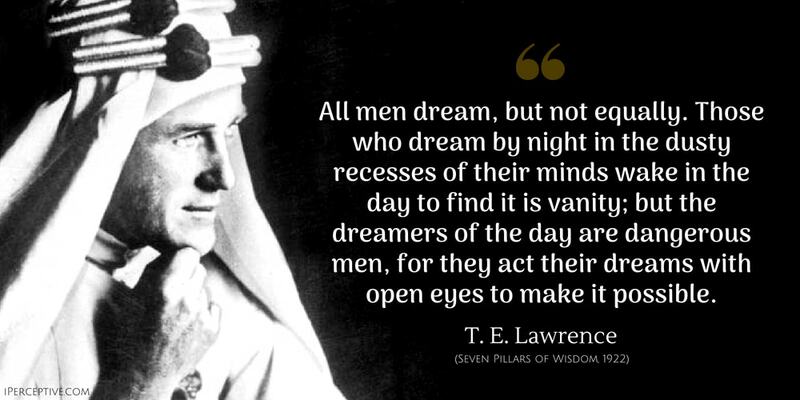 He is best known for his prominent role as a liasion during the Arab Revolt. 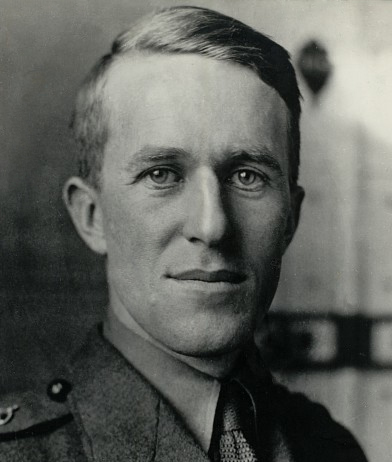 This earned him international fame by the name of Lawrence of Arabia.